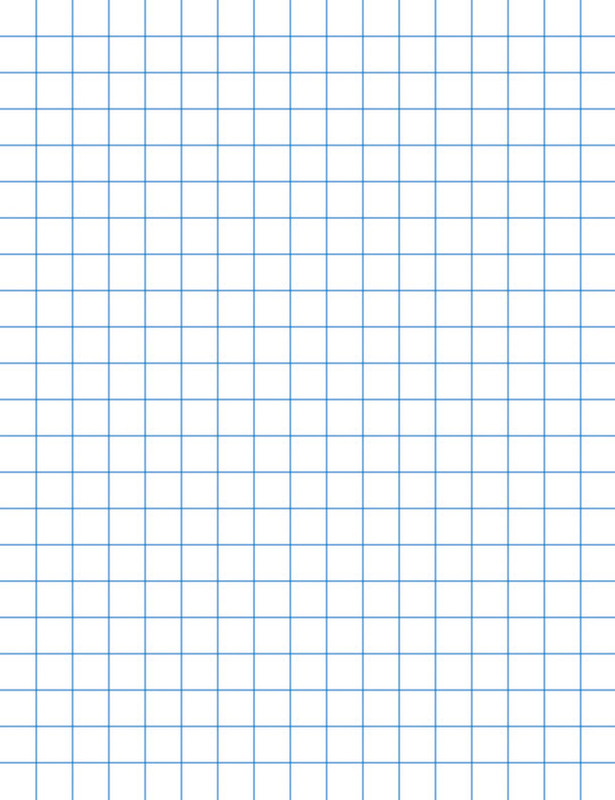 I’m confessing it, I simply love graph paper, and you probably do too. After all as needlepointers, our stitching lives are taken up by The Grid. My love of graph paper is much older than my love of needlepoint. My doodles as a child were house plans, largely because I loved putting things into those nice grids. But as a stitcher my graph paper needs are mostly frustrated. All too often the paper I can find is 4 squares too the inch and too big to be useful. I have some notebooks with 8 to the inch, which is passible, but too small to chart anything but stitches. So I stockpile 10 to the inch paper, finding little caches of it all over the place. But, thanks to the late Judy Harper, I don’t have to do this anymore. A few years ago, she let us know about a marvelous site where you can generate and print your own custom graph paper, Incompetech. This is a really cool tool. First you select the paper size. This is great for people using A4 paper or other non-standard papers. Next you specify the border size (you might check what the minimums are for your printer), the line weight (how thick or thin the lines are). Then you get to the good part, the scale of lines per inch or centimeter (yes it does metric too). Finally you pick a line color from seven standard colors as well as a custom choice. Click on “download PDF” and almost immediately you have a lovely grid there on your computer. You can also click on the link above the grid generator together a page with lots of other types of graph papers to create. While most of these aren’t terribly useful to us as needlepointers, there is a triangular grid great for Trianglepoint and grids with different line weights. That couldn’t have been easier! I literally saved an 18 ct graph on 8.5×11″ paper as a PDF in my computer in 20 seconds! Thank you for the link! Will wonders never cease? Sometimes I become tired of our tendency to grab onto the new just because it is new. Then something comes along and is SO useful to many that I am thrilled. Graph paper and this company are two of these somethings! Great tip! Also, I use Microsoft Excel for a lot of charting. You can create your own graph paper template and use it as your starting point each time you chart. If you do big designs, then you can easily remove and rows and columns, then drop in your 10-count grid lines. You can do colored squares if you wish. For printing oversized charts, I take to FedEx/Kinko’s and they can run them — in color or B/W. I don’t think I ever need to print or buy or steal graph paper again. Almost all the men in my family were engineers so I have stacks and stacks of graphs paper that I use for all my crafts…stitching, knitting and sewing. And I used to make house plans as a kid too! Thank you! It even has the dot graphs that I like to use in quilting.